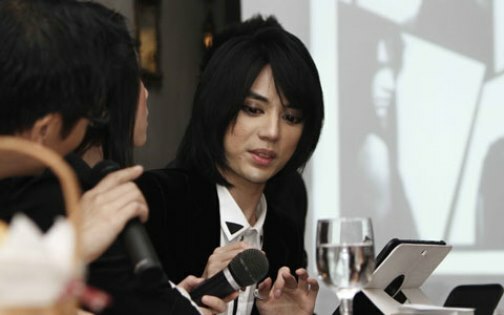 Young and handsome Indonesian fashion designer Tex Saverio has become a real star of the fashion world. 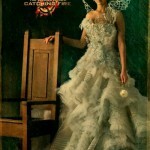 His fantastically beautiful dresses fascinate celebrities all over the world. Among his admirers Oscar-winning actresses, music stars – Kim Kardashian, Lady Gaga, Jennifer Lawrence. 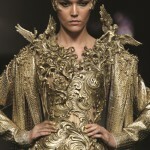 Regular participant of Jakarta Fashion Week, Tex Saverio has been described as the “Alexander McQueen of Indonesia”. His style is very flamboyant and colorful, dazzling, detailed work. Luxurious evening gowns and wedding couture often appeared on the covers of glossy magazines. 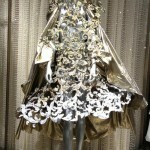 Sparkling dresses with threads of precious metals are very heavy, as they include fabric with metallic thread and trimmed with real gold and silver embroidery. 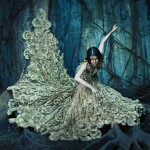 Tex Saverio was born in 1984 in Jakarta. 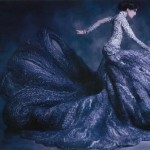 In September 2005, Saverio won a national award in the Mercedes-Benz Asia Fashion Award, which qualified him to compete against other Southeast Asian designers the following year. His winning collection presented clothes that were designed to be worn by both men and women. He left senior school after a year in order to pursue a fashion design career, enrolling at the Bunka Fashion School in Jakarta and then taking on an apprenticeship at the Phalie Studio. 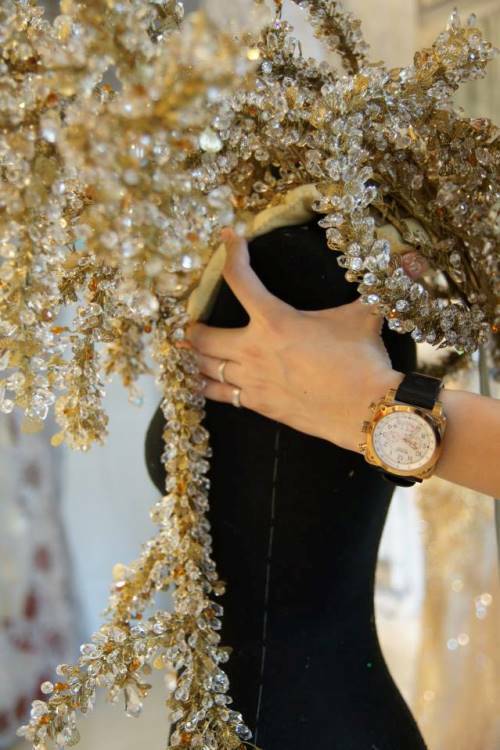 ‘Resurrection’ by Tex Saverio for Swarovski Runway Rocks (2013) — at Lane Crawford, Shanghai Times Square. 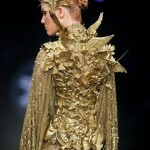 Inspired by the mythical phoenix, Tex Saverio Runway Rocks piece symbolizes resurrection and immortality. 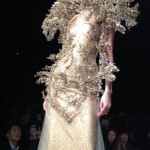 It consists of a couture dress encased in sculpted metal, crystals and feathers.